I don’t know if you have to be a girl to truly appreciate a tea party with dainty little cakes and cookies. I do know that men have no problem eating these little jam filled gems, no matter how they are presented. When I discovered the rose petal and quince jelly I was delighted because this way they will be perfect for my rose themed tea party! 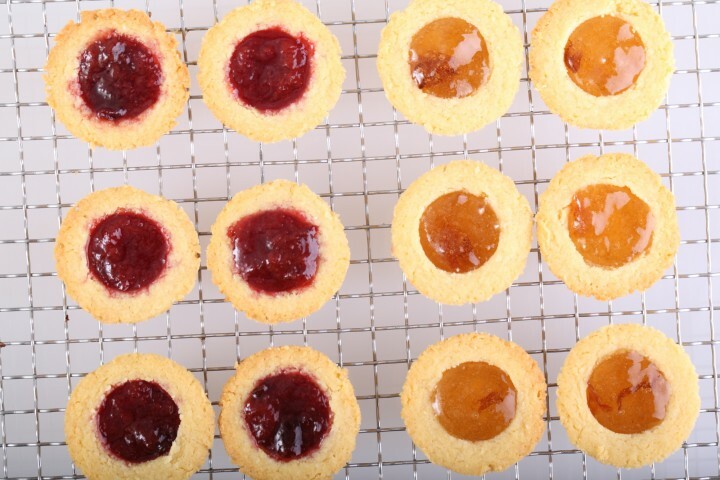 In the pictures you see that the shortbreads come in the shape of little tarts or bites. I bake them in a mini muffin pan to get these shapes. 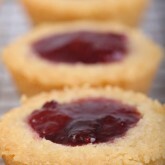 It allows for a bigger indentation and a generous filling of jam. You can add almond extract to the recipe if you like an intense almond flavor, but they also taste pretty good without. I grind the almonds with the 30 grams of icing sugar so the grease that is released by the almonds gets absorb by the sugar and the mixture stays nice and loose. Preheat the oven to 180ºC / 355ºF. 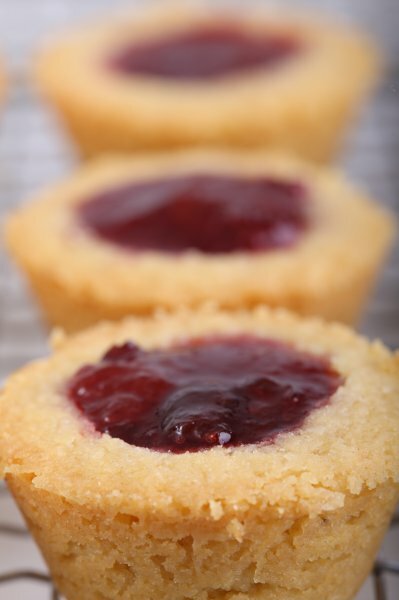 Grease a tartlet tray or mini muffin pan. Grind the almonds with the 30 grams of icing sugar. 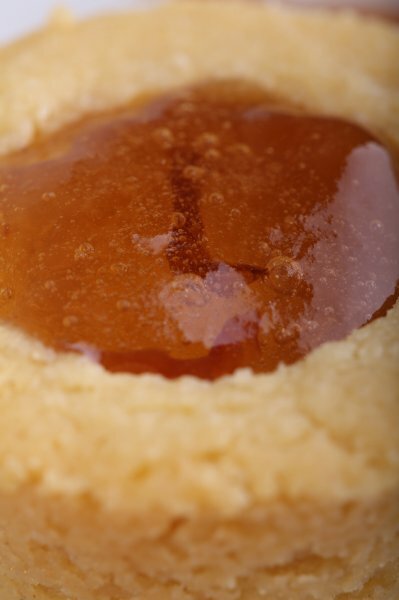 Sift together the fine sugar, the flour and cornflour into a bowl. Add the ground almonds icing sugar mixture and combine. Add the butter cubes to the dry ingredients. Using your fingertips, rub in the butter until there are no visible lumps and the mixture looks like breadcrumbs. Stir in the almond extract (optional). 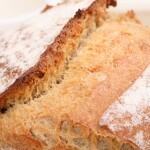 Tip the mixture onto a lightly floured surface and knead lightly, just enough to form a smooth dough. 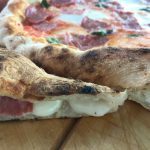 Leave the dough to rest in the fridge for 30 minutes. Roll out the dough and divide into small balls of about 20 grams each. Place a ball in each indentation in the tray, flattening the tops slightly with your fingers. Bake for 10-12 minutes until light gold in color. Remove from the oven. 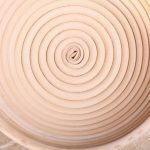 Make a small round indentation in the top of each biscuit – use a marble or the tip of a wooden spoon handle. 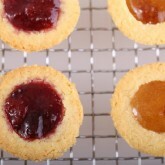 Allow to cool for 5 minutes, then turn the tray over and tap it on the work surface so that the shortbreads fall out. Be gentle as they are still very fragile while warm. 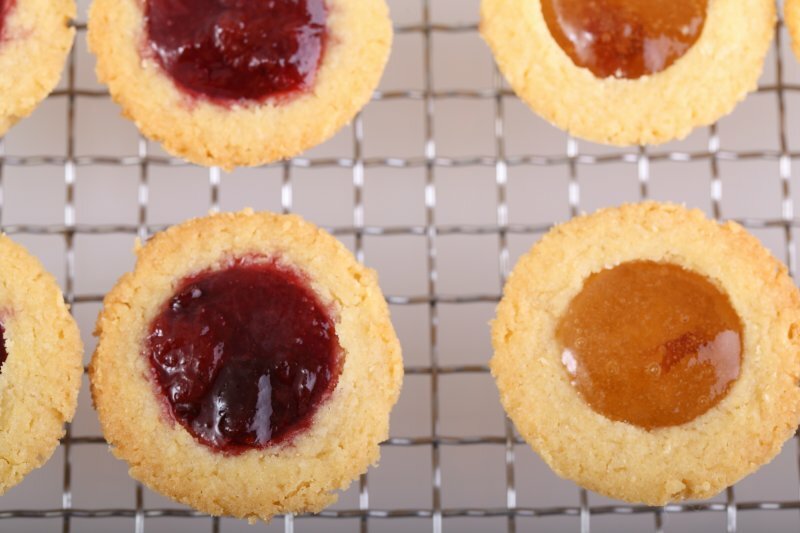 When the shortbreads are baked and cooled, fill the indentation with your favorite jam, jelly or curd. Dust the tops with icing sugar. Best when fresh of course! NL gewoon bloem? En is corn flour soms maizena? Zou echt super fijn zijn als je tijd hebt om te antwoorden. Pastry flour kun je vergelijken met onze patent bloem, zeer fijn gemalen tarwebloem, gemaakt van zachte tarwe met een laag eiwitgehalte. 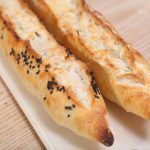 Een laag eiwitgehalte betekent minder glutenontwikkeling, dus minder elasticiteit, perfect voor koekjes en gebak. Kortom: Patentbloem! 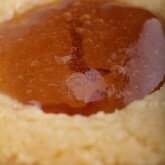 Corn flour is maismeel, dus geen maizena (dit is maiszetmeel, gebruikt als bindmiddel omdat het water heel goed bindt). Maismeel bevat ongeveer geen gluten en dat is weer perfect voor een bros en of knapperig resultaat in gebak. Je kunt het vinden in de natuurwinkel of reformwinkel en waarschijnlijk ook bij molens die meel verkopen. Je kunt de koekjes ook zonder maismeel maken, dus alleen met patentbloem en amandelmeel. Zorg ervoor dat je altijd snel werkt en zo min mogelijk kneedt, zo krijg je het beste resultaat. Hoop dat ze heel lekker worden! Dank je wel voor je antwoord; ga ze zo dadelijk proberen. Ben inmiddels al 5 weken in opleiding tot patissier dus weet nu alles van allerlei soorten bloem :-). Eén dag in de week school (theorie) en de rest stage. Dank je wel voor de zeer leuke inspirerende recepten! 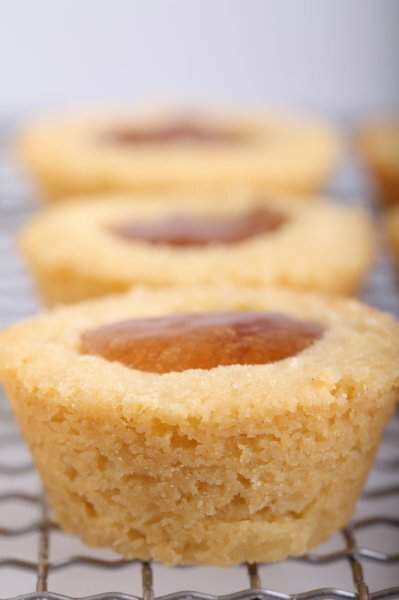 Was looking for something new for my cafe when i came across your idea of the Almond shortbread done in muffin trays. 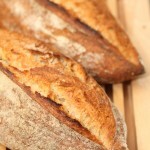 We’ll my 1st dozen just came out & look & taste amazing. Thank you. They look a class above the normal jam-drop cookies. 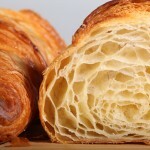 Now i have to go bake more as the staff have just eaten the last one. A good recipe can travel far. That is so cool to hear! 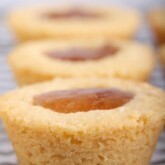 A little shaping and they turn from cookie to true mini tarts.